Feels like a jersey, performs like a windbreaker. Made from Santinis exclusive GORE® WINDSTOPPER® 178 with carbon fibre inserts on the back and sides, the Beta jersey offers thermal insulation, wind protection, breathability and comfort at a temperature range of 15-20°C (60-70°F). With elongated sleeves down to the elbow and thick elastic on the back at the bottom of the jersey. Fit - Feels like a jersey, performs like a windbreaker. Sleeves have been elongated down to the elbow. Internal flap covers the zipper length to reduce wind resistance. Thick elastic on the back at the bottom of the jersey keep it in place. 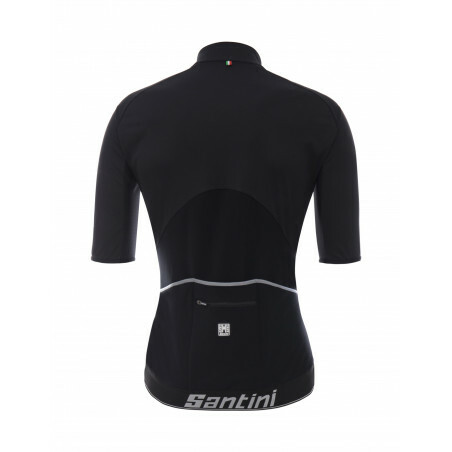 Performance - Made from Santinis exclusive GORE® WINDSTOPPER® 178 with carbon fibre inserts on the back and sides, the Beta jersey offers thermal insulation and wind protection in colder temperatures of 10-15°C (50-60°F) and breathability and comfort at higher temperatures of 15-20°C (60-70°F). 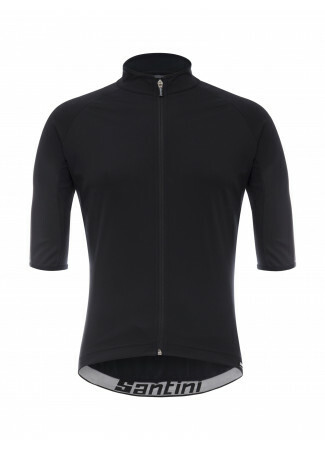 Comfort - Keep riding whatever the weather, without ever needing to stop or slow down to add or remove layers. 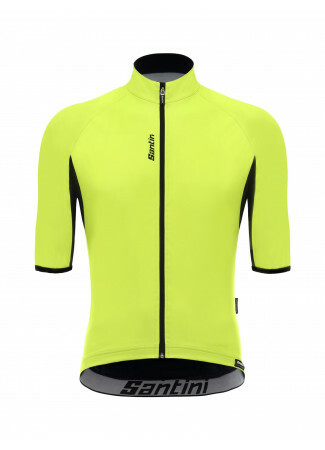 When used in combination with the Beta arm-warmers, its the only spring jersey youll ever need. Durability - Made from high quality materials, with attention given to every stitch. Vigorous quality controls are in place to check every item produced. Made in Italy by our highly skilled production staff. 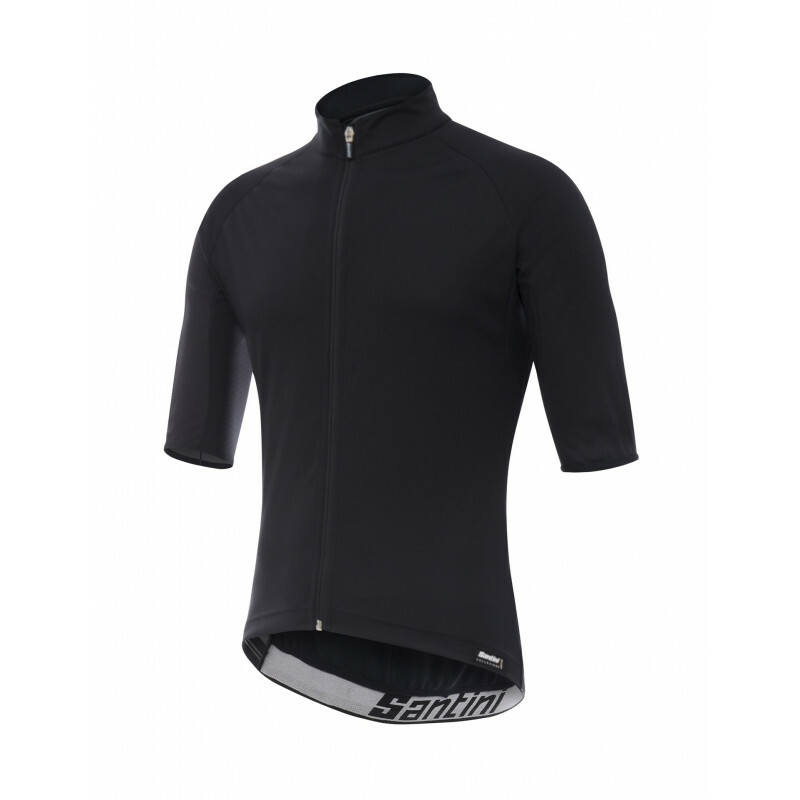 Combined with arm warmers it covers a wide range of temperatures and is thus very versatile. Wind protection is working fine without sacrificing breathability. Amazing quality, perfect fit, wind resistant, size measurements of the website were not very accurate thought, a size larger would ve been perfect for me. Keeps you comfy when working hard! Maglia polivalente, ottima per le mezze stagioni. Traspirante e impermeabile al vento. Versatile se abbinata a manicotti altrettanto validi. Prodotto efficacissimo per i climi di "mezza Stagione" molto ballerini, buona traspirazione in salita e ottima tenuta termica in discesa con il vento in faccia, prodotto provato con temperature tra 10 e 18 gradi. 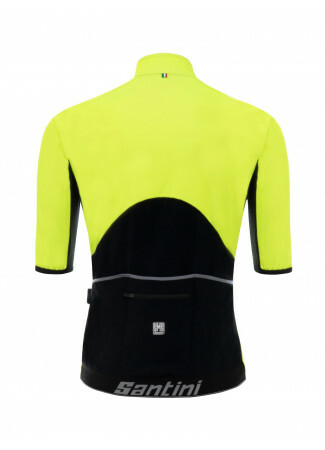 Ottima maglia da utilizzare nelle belle giornate invernali con intimo invernale e manicotti oppure a primavera/autunno quando ancora è fresco. Ottima la protezione dal vento in windstopper e la tasca con zip sul retro. maglia molto ben fatta, bella la protezione interna lungo tutta la cerniera che protegge ulteriormente dal vento. unico neo le taglie tutte un po piu piccole della media.